Double Fine Productions, the studio behind Broken Age, Brutal Legend, and Psychonauts, has joined with 2 Player Productions to create a new YouTube series called Devs Play. As you might guess from the title, it's a Let's Play-style of video, but with the perspective and insights of experienced game developers. First up: Westwood Studios co-founder Louis Castle, who teams up with Greg Rice of Double Fine for a playthrough of the 1994 platformer The Lion King. The first season of Devs Play will include six episodes, beginning with Castle, who talks about developing the "spiritual successor" to Aladdin with a small team and a tight schedule. Following that, at a rate of one per week, will be Ben Burbank discussing Earthbound (The Mother Trilogy); Anthony Vaughn and Geoff Soulis talking about (and playing) the unreleased Gauntlet DS with Backbone Entertainment boss Mike Mika; Brandon Dillon and Matt Hansen digging into The Legend of Zelda; JP LeBreton tag-teaming Knee Deep in the Dead, the first episode of Doom, with none other than John Romero; and finally, a "very special episode" in which Tim Schafer himself joins members of the original Psychonauts development team to watch speedrunner Stephen Kiazyk have his way with it: "Perhaps most upsetting to Tim, much of the dialog is skipped." The series promises to be meatier than conventional Let's Plays, and will no doubt feature significantly higher production values as well. 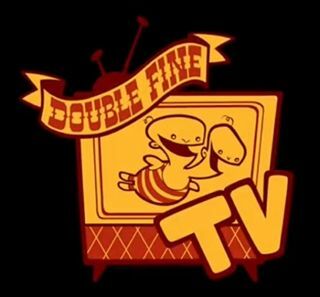 2 Player Productions has previously created a number of documentaries on games including Minecraft, Scrolls, Penny Arcade: The Series, and Double Fine's Broken Age, Massive Chalice, and Amnesia Fortnight 2012.